An array of distances, terrains and locations; including a secure prison(!) attracted many NBH athletes. Just like the Tour de France this week and their ‘maillot jaune’, the yellow jersey of the stags was worn with pride and the results were just as impressive as the turnouts! Bangor Sportsplex was the venue for this track and field event and both competitors performed very well in their respective races with Andrew Milligan claiming first position in the 400m event. Well done to both athletes. This race consisted of a downhill for the first mile, a further three miles climbing and the last mile down to the finish. Nat Glenn finished in ninth position overall, clearly winning the vet50, with Laurence Johnston finishing closely behind in 12th and Jason Reid with an excellent finish time also. A great run by all three members. 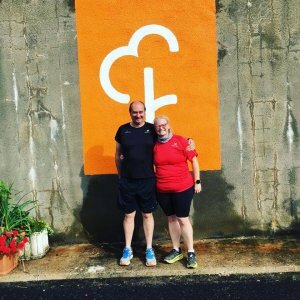 Promoted as a ‘scenic and ancient 6 mile trail-run in the heart of the city’, this was the fourth annual event hosted by the Dub Runners. 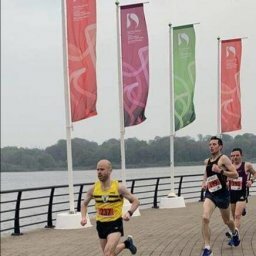 The course takes in the picturesque trails and towpath of the Lagan Valley Regional Park and finishes at the Dub Playing Fields. Impressive runs by all NBH participants, including second place for Philip Goss. 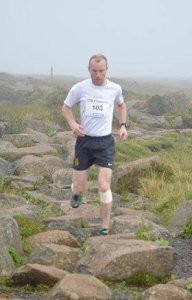 Part of the Novosco series, this race was organised by Crossgar Harriers, Kilmore Rec FC and Atlas Running. This is a fast course all on road with a few hills. 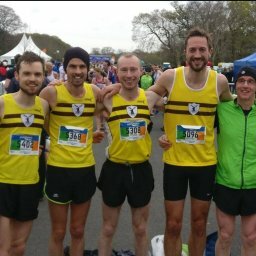 An excellent time and position for James Wallace representing North Belfast Harriers. A second podium place in as many days for Phillip Goss, this time taking top spot the day after a second-place finish at Giants Trail! Very impressive Philip! This 10K was a tough, steep run over the summit, the boardwalk, the gravel paths before heading over towards the summit of Black Mountain, crossing a couple of stiles and the Collin River along the way and then finally collecting the medals just past the visitors’ centre. Kent Swann achieved a 45 second PB at this event on Saturday morning at the Meadowbank Sports Arena, running 3,000m in a very impressive 9.29! Well done. The track and field competition took place in the Morton Stadium, Santry, North Dublin over the weekend. Andrew Milligan ran 800m in 1:57.74 achieving a well-earned PB. Excellent running from him at this two-day event amongst Commonwealth medalists and national runners alike, some attempting to qualify for the European Athletics Championships. 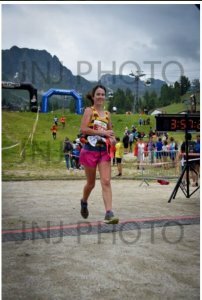 Even further afield, Helen Weir successfully ran this 27K trail race in the French Alps in a fantastic time of 3hr 57min 24s, well under the 6hr max time allowed. 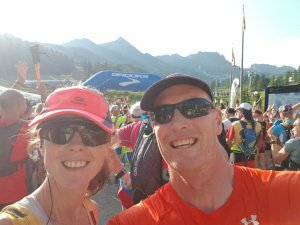 This race takes place in a single stage at a free pace and is a qualifying race for the Ultra Trail du Mont Blanc. Finishing 237th overall out of a total 834, she was 32nd lady home and tenth in her age category. Every weather was experienced along the route on the day, including blazing heat and thunder and lightning at the top. The climb ranged from 5300ft right up to an elevation of 8850ft. Well done Helen! NBH claimed two of the top prizes here. Congratulations to Kent Swann in first place and David Clarke in third place. This 5K course took place in the lovely Carnfunnock Country Park and was organised as a memorial for a past East Coast AC member, Paddy Campbell. In addition, it was a fundraiser for the Chest, Heart & Stroke NI and so was an excellent race to support. 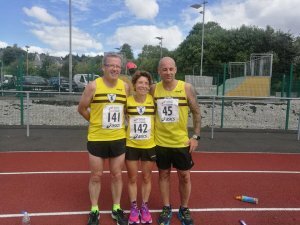 Regular racers in Donegal, Paddy and Ita McCambridge and Paul Butcher took part in the Danny McDaid 15K in Letterkenny on Sunday. Paul Butcher was rewarded with 41st place in a time of 62.43. Paddy McCambridge also broke the 70min barrier, finishing in 69.44 and in 88th place overall. Ita McCambridge placed 2nd in the O50 category and in 99th place in a time of 70.38. Well done NBH tourists! Eight different venues attracted the NBH club members on Saturday 28 July for their weekly ‘parkrun’, six of whom achieved PBs. 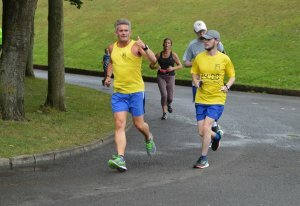 The three first females over the line at Larne parkrun all hailed from NBH – well done! 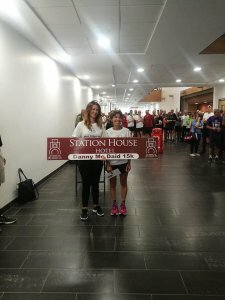 Also, a special mention to Rosy Ryan and Philip McIlwrath who celebrated their 150th run at Lower Drummans aka HMP Magilligan with prison PBs! 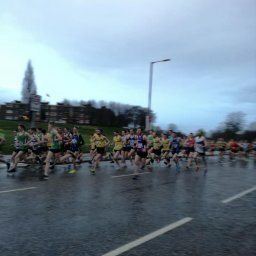 82 Lynn MCKENNA 26:30 New PB! 132 Claire BROWNING 30:32 New PB! 162 David FRENCH 34:51 New PB! 14 Claire MCCORRY 19:28 New PB! 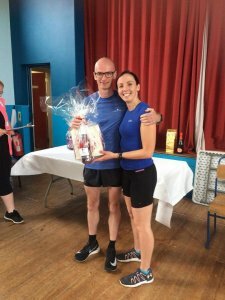 16 Philip MCILWRATH 25:06 New PB! 37 Rosy RYAN 41:22 New PB!